As dog owners, we all hope our pooch falls into the healthiest dog breeds category, so they can live a long and happy life. The best things we can do for our furry family members is to give them regular vet checkups, daily exercise, feed them quality food and give the lots of love and affection. 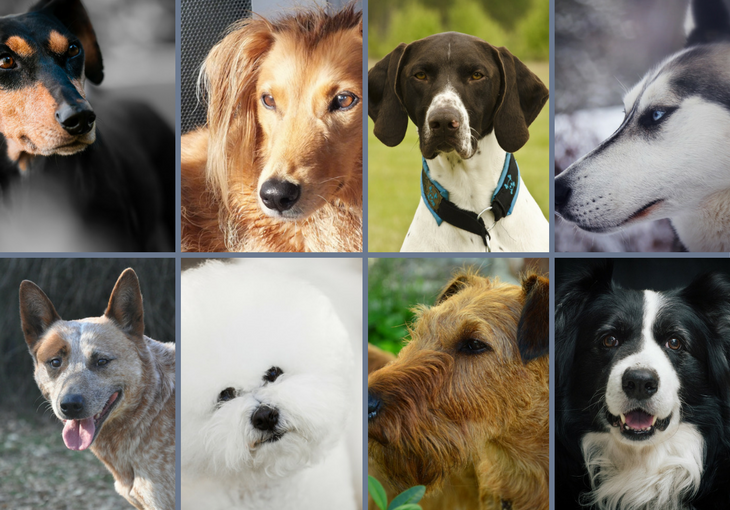 All dog breeds are prone to certain genetic disorders, or mild ailments, but these breeds are the least likely to become ill, as long as they are cared for properly over their lifetime. Nicknamed “Daredevil,” the Irish Terrier is courageous, loyal and protective of his family. He is affectionate and energetic and he is a wonderful family companion. This breed does not have any health issues associated with it, and can live 12 to 16 years. This breed is known for their intelligence, energetic nature and cattle herding abilities, the Australian Cattle dog can be a loyal friend. They are not prone to any major genetic disorders besides hip dysplasia and are generally healthy if given the proper care and love. Australian Cattle Dog’s also hold the record for the longest living dog - an ACD named Bluey lived to be 29 years old! The typical Australian Cattle Dog lives to be about 13 years old. A breed that is believed to trace back to biblical times, the Canaan dog survived the harsh desert conditions. He is intelligent and a fast learner, and will participate in any activity you’d like him to do. This breed does not suffer from any hereditary ailments and lives 12 to 15 years. The American Foxhound is a kind and loyal companion that is great for an active family. They love to run and make fantastic jogging partners. This breed is not known to have any genetic or hereditary issues, but in rare cases can have Thrombocytopathy, which is a blood condition that causes excessive bleeding from minor cuts or scrapes. Their lifespan is 12 to 13 years. One of the oldest dog breeds, he was bred for speed and endurance. He is a tall, thin dog who is a challenge to train, but very loyal to his people. The Saluki is not plagued by many genetic diseases, but they are prone to anesthesia sensitivity, hypothyroidism, Hemangiosarcoma which is a malignant cancer of the blood vessels and spleen and disease of the heart muscles. He lives between 12 to 14 years. The Pharaoh Hound is a breed that is over 5,000 years old! He is independent and full of joy and he has the ability to blush. He is friendly to everyone he meets, but will alert you if there is something unusual going on. This breed is not associated with any genetic disorders, but can have anesthesia sensitive and allergies that are food, contact or inhalant related. The Siberian Husky is a beautiful, intelligent, independent and stubborn creature. They are not overly eager to please their people, so they have a mind of their own, but when trained properly, they can be the greatest companions. Huskies are only prone to eye conditions like Cataracts and Progressive Retinal Atrophy, which can lead to blindness. These dogs can live to be 15 years old. The energetic Short-haired Pointer is a sporting dog that hunts game from land or water. He needs plenty of exercise and mental stimulation. This breed is very healthy, but can be susceptible to Cancer and Von Willebrand’s Disease, a disorder that affects blood clotting, which can cause nosebleeds and bleeding gums. It is crucial to have regular vet check-ups because early detection can help save lives. On average, they live 12 to 13 years. The Belgian Malinois is a herding dog that loves to have a job. They can be police dogs, protection dogs and loyal, affectionate family companions. They are very intelligent and are best suited for an active home. This breed has few health concerns aside from dysplasia of hips and elbows; they are just more sensitive to anesthesia than most breeds. These beautiful dogs can live to be 15 years old. Border Collies are well known for their intelligence, their sensitivity to human emotions and their intense stare. Being a herding dog, the Border Collie has unlimited energy. Collies are prone to typical genetic disorders that affect almost all breeds, like hip dysplasia and common allergies, but they are still one of the healthiest breeds, living 12 to 15 years on average. The Harrier is not an overly popular these days, but he is a great companion for hunters. He was bred to hunt foxes and hares. He has an excellent sense of smell and work ethic. Harrier’s are only prone to hip dysplasia. They live between 10 and 12 years. The American English Coonhound is a descendant of the English Foxhound. A noisy boy who needs a lot of exercise, this breed is known for hunting and being speedy. This breed is regarded to be very healthy, but they can have hip and elbow dysplasia, bloat, ear infections and eye disorders. This breed can live between 12 to 15 years. The Polish Lowland Sheepdog was bred for hunting and guarding, so today he is a very protective, hard-working dog. He is easy to train and strong willed, but he is a great companion. His breed is a very healthy one; he is only prone to hip dysplasia and eye disorders. This breed lives between 12 and 15 years. Chinook’s are an energetic breed. They are happy to do any job you’d like him to from dog sports, to playing with the kids. He is rarely aggressive or shy, and needs a lot of exercise to keep from getting bored. This breed is prone to hip dysplasia, eye conditions and can suffer from seizures. Chinook’s can live between 12 and 15 years. Eskies are fluffy white balls of fun. They are energetic and outgoing, intelligent and fast learners and they are loyal and affectionate to their owners. They can develop hip dysplasia, eye disorders and Legg-Calve-Perthes Disease, which is a decreased blood supply to the head of the femur and it starts to disintegrate. American Eskimo’s live between 12 to 15 years. The American Pit Bull Terrier is a misunderstood breed. While he has a bad reputation, anyone who has owned or spent a good amount of time with this breed knows they are affectionate with their families and require a lot of attention. This breed is prone to hip dysplasia, allergies, hypothyroidism and heart disease. They can live between 12 and 16 years. One of the most popular breeds, the German Shepherd is a smart, loyal and hard-working dog. He is excellent at almost anything you train him to do, and he is incredibly affectionate and energetic. They are prone to hip and elbow dysplasia, bloat, Degenerative Myelopathy which affects the spine as their hind legs are lower and Exocrine Pancreatic Insufficiency which is a disease of the Pancreas. They live to be 10 to 14 years old. A small dog with huge personality. 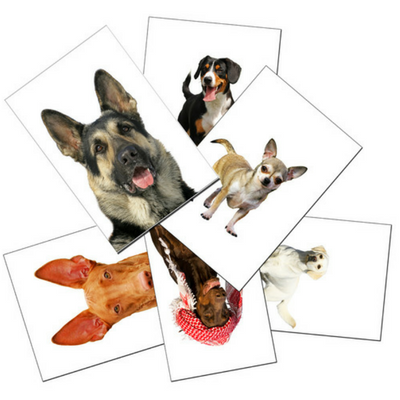 They are spunky and happy pups with a bold and affectionate nature. He is quiet but excitable and can be a great watchdog. They are prone to hip problems, like dysplasia, Patellar Luxation and Legg-Perthes Disease and heart murmurs, but overall this breed is generally healthy. They can live between 12 and 14 years. Originally bred to protect royalty and nobility in Feudal Japan, the Akita is a smart and powerful dog. He is extremely loyal to his family and requires a lot of exercise to keep from getting bored and destructive. This breed can have hip dysplasia, bloat, Hypothyrodism, eye conditions and Sebaceous Adentis, which is when there is inflammation of sebaceous glands, which ultimately get destroyed. This majestic breed lives between 10 to 12 years. One of the oldest known dog breeds to keep their original look without being too altered, the Alaskan Malamute is a beautiful, intelligent dog. He is a large, hard-working, affectionate dog and is friendly to everyone he meets. This breed can develop eye disorders, be born with day blindness, hip dysplasia, dwarfism and other limb issues, but is generally a happy and healthy breed. The Malamute can live to be 12 to 15 years old. The German Pinscher is a strong and muscular looking breed, but he is also intelligent and highly sensitive. German Pinschers have been known to have hip dysplasia and Von Willebrand’s Disease, a disorder that affects blood clotting, which can cause nosebleeds and bleeding gums. This breed lives 12 to 14 years. The Bichon Frise is a small, mischievous companion with a lot of personality. He looks like a teddy bear, but he has a lot of love to give his owner. This breed is prone to bladder problems, Patellar Luxation, Hip dysplasia and juvenile cataracts. They also can be sensitive to vaccinations, so it’s important to keep an eye on him afterwards and check for swelling or irritation. The Bichon Frise lives between 12 and 15 years. Chihuahua’s are small, but their personalities are life-sized. He is very affectionate and is a great watchdog. Common with most small dogs, Chihuahua’s are prone to Patellar Luxation, where bones in the leg are not lined up properly and can cause a limp. They are also prone to Hypoglycemia, or low blood sugar. These little guys can live to be 18 years old! Another small breed, the Havanese is also known as the Velcro dog, because he will be attached to his owner constantly. Like the Chihuahua, the Havanese is also prone to Patellar Luxation and also Chondrodysplasia, which is like dwarfism, occurs in breeds with shorter legs, they can still live healthy, full lives if this becomes crippling. Havanese can live to be 15 years old. Crossed between a Poodle and Labrador Retriever, Labradoodles were bred to be hypoallergenic guide dogs. Since then, they have grown in popularity. It is a common misconception that mixed breeds are not prone to the same health issues as purebred dogs are. This breed is prone to Ear infections because of their floppy ears, hip dysplasia and diabetes. It is important to keep this breed well groomed and clean to prevent infections, and continue regular vet check ups. These dogs live to be 12 to 14 years old. Shiba Inu Dog Breed Info: The Independent, Feisty Dog!